The American indie rock band The Districts at the Melt! 2015 in Ferropolis/Germany. The loss of David Bowie early this week marked a monumental loss in the world of music as one of the greatest innovators and icons of the last 50 years succumbed to cancer at the age of 69. One of the great living traditions in music is that the bands of today pay tribute to those who have served as an inspiration and laid the groundwork for their present success. That's what the rising Philadelphia band The Districts, originally from Lititz, Pa., decided to do last summer as an homage to the great Bowie. Frontman Rob Grote spoke to Consequence of Sound about the band's choice to cover the 1980 hit "Ashes to Ashes," which appeared on 'Scary Monsters (And Super Creeps)' and revisits the famous Major Tom character from Bowie's standout 1969 track "Space Oddity." 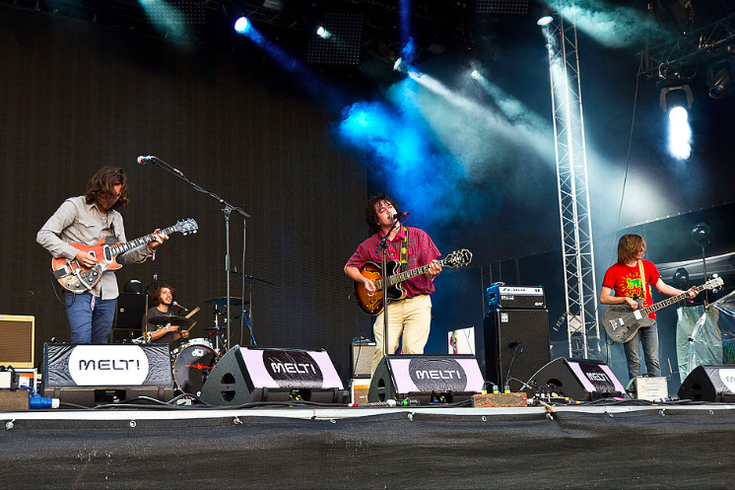 During an interview in 1980, Bowie himself described "Ashes to Ashes" as a 1980's nursery rhyme, a vibe The Districts pull off to powerful effect in their acoustic rendition below.